In my opinion, Instagram is one of the most underrated, underutilized tools in social media. It’s a visual platform that packs a mighty punch, and with little effort, it can enhance your current social media campaigns, improve your metrics, and grow your audience. With Facebook’s recent algorithm changes, it is more important than ever to understand how to maximize social reach without increasing costs. Read on to learn how your business can use Instagram to boost the performance of your Facebook page. Facebook bought out Instagram in 2012, and as such has been its alternate cash cow app. The cross promotion of Instagram posts on Facebook have only continued to drive new users to the platform. Facebook’s “promotion” of Instagram is self-serving and effective. Finally, the Facebook algorithm recognizes all Instagram content as user-generated, regardless of whether it was created by a company or personal account. In its recent algorithm change, Facebook limited a company’s organic reach to between two and six percent of overall page likes. This means roughly for every 100 page likes you have between 2 and 6 people will see your content. By contrast, individual content ranks around 20 percent organically, so for every 100 friends a person has, around 20 will see the content. Because any content from Instagram ranks as individual generated, it has around a 20% exposure rate, which in turn leads to an increased opportunity for engagement. On a small scale, these three items may seem like mere peanuts, but let’s play this out for a more realistic example. If a company page has 10,000 likes and its content reaches between 200 and 600 people organically, versus the potential reach of 2,000 people, you can immediately see the implications for marketers. As it turns out, Instagram is the hidden gem for beating the current cap on organic reach without having to utilize paid posts. Many factors influence how big brands can and do use social media, Instagram included. The first being, many big brand photos are not taken and posted when shot, and will go through a tedious editing process prior to posting (more than the standard filters available on the Instagram app). This process does not happen on a phone, but rather a desktop editing program. Instagram only allows photo posting via the mobile app, so the process to even get the photos on a phone after editing is cumbersome. Second, big brands often have large teams, so auto-posting and multi-platforms posts are not a reality. They have the time and resources to craft individual posts for each platform without using the cross-over compatibility functions. However, you will notice the photos from Instagram are often repurposed onto Facebook. Instagram, for big brands, is a better testing ground for new photo ideas. It has a highly engaged user base that filters out the photos that wouldn’t do well on a more selective platform. Many brands, like Warby Parker, Taco Bell, and Victoria’s Secret (just to name a few) use Instagram incredibly. They just don’t happen to auto-post all their photos elsewhere. If you’re a small business and you use Instagram to help tell your story, you may have just found your social sweet spot. Both Facebook and Instagram are visual platforms. By using your photos from Instagram for Facebook, and using the auto-post feature, you can not only save time, but also gain the organic reach edge that many big brands have to pay for. You’ll maximize your smaller community, and your content will be exposed to more of your users without having to increase your ad spend on “boosting” or promoting your posts. By using not only your content, but also your Instagram follower’s content, you can increase your reach and diversify your content with little effort. Just be sure your followers will permit you to use their photos, and always give credit for their use. 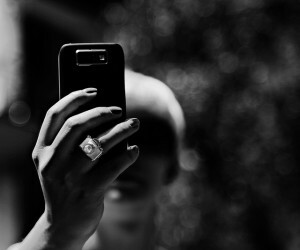 Ultimately, Instagram and Facebook are different platforms and each has its own nuances. However, this recent trend of auto-post enhancing organic reach is an opportunity not to miss. It capitalizes on each platform’s strengths, and has made a way for a time-saving trick to actually improve post performance. UPDATE: Not long after we posted this, Facebook temporarily removed insights and the option to boost posts. The metrics have since returned, but for more information, check out this more recent post. Rachel specializes in integrated social media strategy and content creation for WebFX.